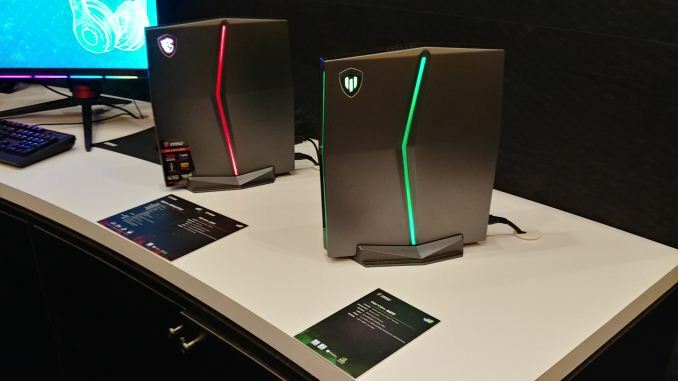 At the MSI suite this year at CES, one of the updated systems on display was the new MSI Vortex W25. The W25 is a workstation version of the G25, a popular mini-PC that packs some super high-end hardware into a super small PC chassis. 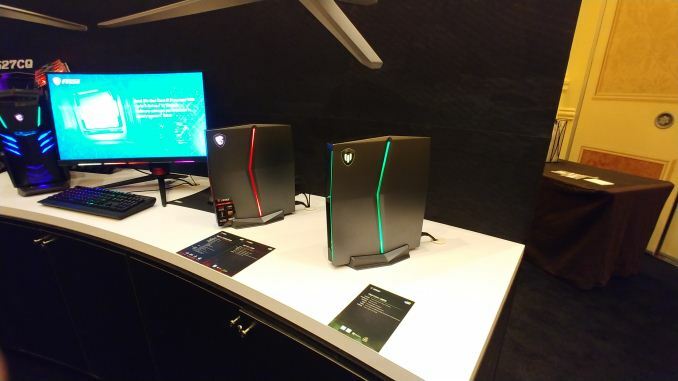 I saw the G25 with a Core i7-8700 and GTX 1080 inside back last year, and one of my responses to MSI was to create a professional version. It looks like something was already on the cards, with this new W25. 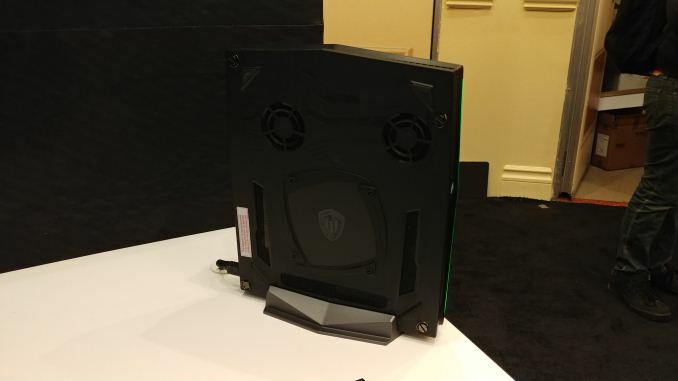 What makes the W25 a ‘workstation’ product, aside from the green lighting and the logo change, is changing the graphics inside to an NVIDIA Quadro. The exact Quadro cards to be used in the W25 are not yet determined, however, we were told to expect parity with the consumer cards currently in the G25, which makes sense. Rather than go into something like Xeon W and ECC memory, for the time being, MSI is sticking to a Coffee Lake 8th gen, although we were told to expect future Xeon processors to be used. With the Xeons, the system will take 64GB of ECC, although not RDIMMs. By the looks of things, these might be user replaceable, or at least adjustable by a system integrator. On the face of it, the Vortex line does look like a laptop in a new chassis put on its side, and this is no coincidence – this product is built and maintained by MSI’s laptop/notebook business unit. The advantage here is this business units expertise in cooling and power: when mini-testing the Core i7-8700 model, I noted that it was set to 65W flat as a max power consumption, rather than an open-ended power design that a full desktop might use. It’s also using a full desktop-class CPU, so the 8th Gen Xeons in play are likely to be the six-core desktop parts, and not any mobile chips. The Vortex systems also use MSI’s laptop and heatpipe based coolers to get the most out of the chassis. Another element that this system is angling for is professional level VR environments. 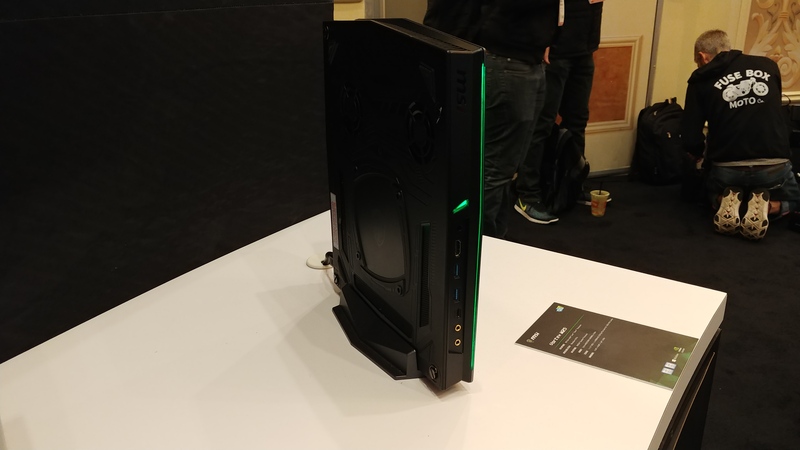 The front panel has a front-facing HDMI port, two USB 3.0 ports, and a Type-C port, and 3.5mm audio jacks – combine that with the big CPU and GPU inside, and it should find VR a comfortable workload. 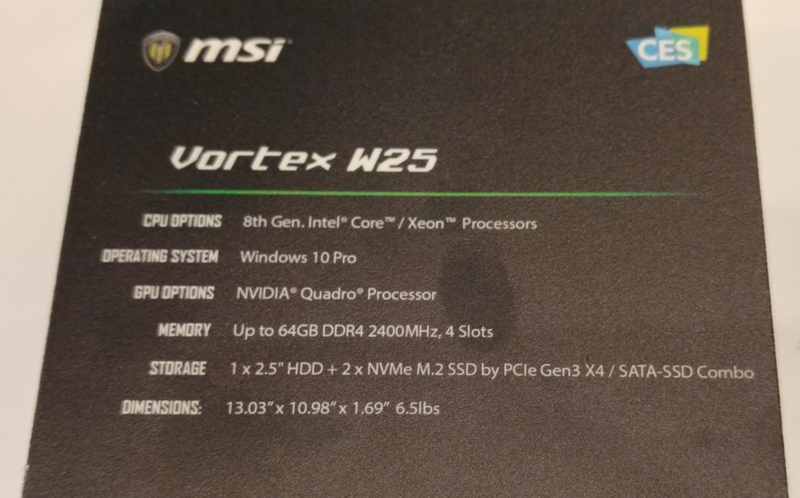 MSI stated to expect the W25 at different times depending on the market, as well as waiting for Intel’s Xeon launches later this year.